A total of $4.4 billion last year in exports is significant, but the U.S. Department of Commerce recently released another metric upon which to measure the economic impact of exports on the Granite State. In 2014, New Hampshire exports supported 20,048 jobs, up 8 percent from 2009, adding 1,626 positions since then, according to the agency. Nationwide, exports of goods and services supported 11.7 million jobs in 2014. New Hampshire’s key export, computer and electronic products, accounted for $1.8 billion of New Hampshire’s total merchandise exports in 2014. Other top merchandise exports included machinery manufactures ($673 million); electrical equipment ($265 million); oil and gas ($201 million); and chemicals ($183 million). Canada was the state’s largest market, representing 17.7 percent of New Hampshire’s total merchandise exports, or $783 million. Mexico followed with $450 million, then the United Arab Emirates ($304 million), China ($299 million) and Germany ($229 million). According to the department, nearly $1.6 billion (36 percent) of New Hampshire’s 2014 goods exports went to free trade partners. The U.S. has free trade agreements with 20 countries. Over the past 10 years, New Hampshire’s exports to these markets grew by 66 percent, with the largest dollar increases from Mexico, Canada, Colombia and a grouping of Central American countries. “New Hampshire companies of all sizes are exploring the benefits of exporting and introducing their world-class products to the 95 percent of consumers living outside U.S. borders,” said Under Secretary of Commerce for International Trade Stefan M. Selig, in a press release. Earlier this year, U.S. Sens. 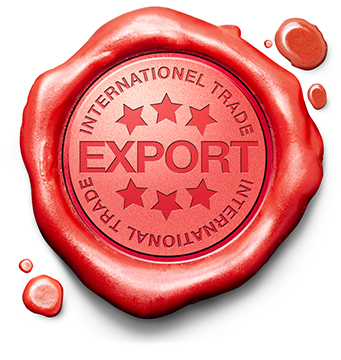 Jeanne Shaheen and Kelly Ayotte introduced The Small Business Export Growth Act, which will streamline the promotion of federal and state resources for small business exports. Last week, Shaheen visited Boyle Energy Services & Technology in Concord, where she discussed her bill, Promoting U.S. Jobs through Exports Act of 2014, which would extend the Export-Import Bank through 2022. The Export-Import Bank says it has helped 36 New Hampshire firms ship $360 million worth of product from 2007 to 2014.